Ships tomorrow if you order in the next 24 hours 55 minutes. N-acetyl-L-cysteine: Precursor to L-cysteine, which is required for the synthesis of glutathione (1)* Glutathione provides antioxidant protection and is an important mediator of oxidative stress in dopaminergic neurons (2,3). N-acetyl-L-tyrosine: L-tyrosine is a precursor to catecholamines including dopamine, norepinephrine, and epinephrine. 3. Smeyne M and Smeyne R. Free Radic Biol Med. 2013;62:13-25. Other Ingredients: Vegetable capsules (hypromellose, water), microcrystalline cellulose, magnesium stearate (vegetable source), and silicon dioxide. Adults: Take 1-2 capsules one to two times a day or as directed by your healthcare practitioner. 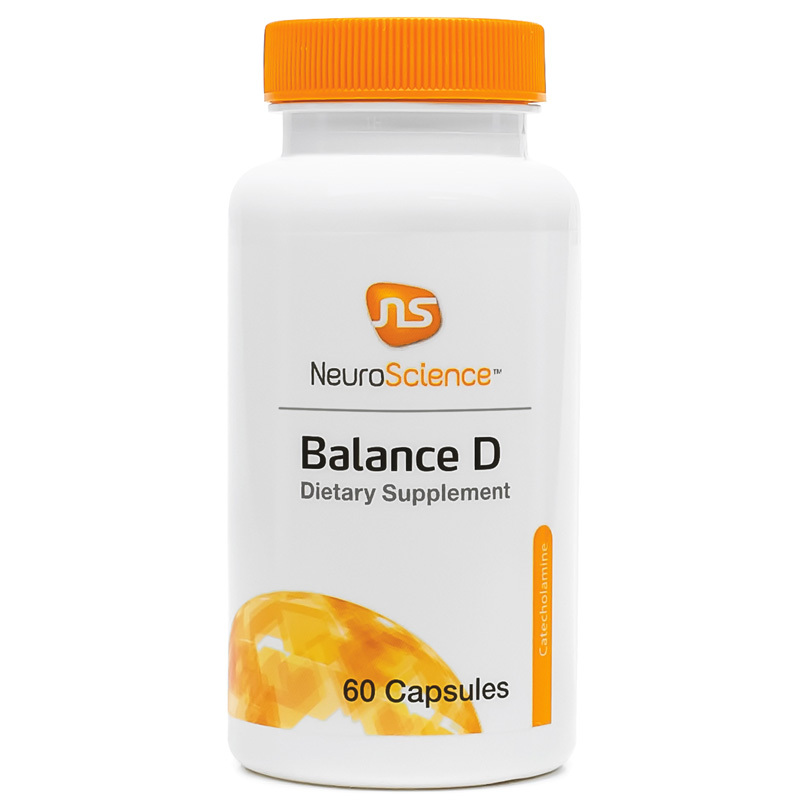 I am so grateful to have found Balance D! Started noticing a difference after the first week, and now after 30 days, I'm seeing even more positive results! I'm ready to order more and will never be without these! Is doing everything stated!! I was struggling and my dr prescribed quite a few different products, but they all made me sick or were ineffective. I friend told me her husband used BalanceD with great success, so I tried it. Within a few days, I feel my mood improved. I was back to myself. Fast delivery. Good price. Quality product. I have a special needs daughter with ADD. We were having trouble in school and her teacher recommended medication. The doctor wanted to make sure she was treated in a way that did not interfere with her prescription meds. This was the answer. It helps her concentrate without the zombie effect.